Federal prosecutors will seek the death penalty against the man charged in a deadly shooting rampage at Los Angeles International Airport, according to court papers filed Friday. 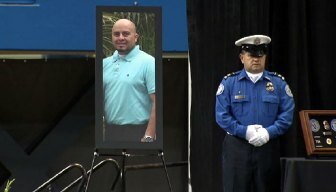 The family of a TSA officer who was killed during a shooting rampage at LAX last year has filed a lawsuit against Los Angeles authorities, alleging their actions led to his wrongful death. Paul Anthony Ciancia pleaded not guilty in connection with the Nov. 1 shooting rampage inside an LAX terminal. Tactical Emergency Medical Support training for responders is included in a report on the Nov. 1 response to a gunman inside an LAX terminal. 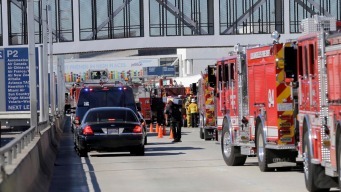 LAFD Training to Enter Active Shooting "Warm Zones"
Coverage of a fatal shooting involving TSA employees at Los Angeles International Airport. Check here for video, galleries and investigation updates.